I'm a self-confessed jumper-holic. 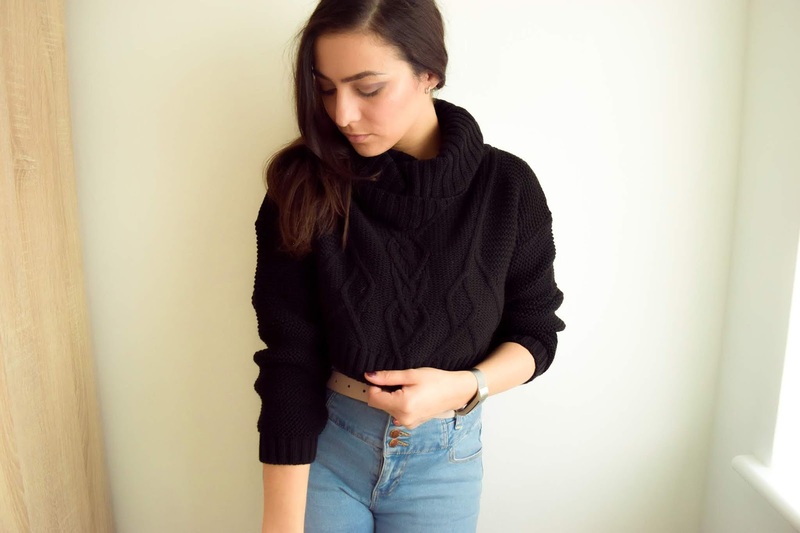 Knitwear is my favourite and as someone who is constantly cold from around September to March, I wear jumpers a lot. In my spare room I have a little built-in wardrobe. This wardrobe currently holds all my knitwear. I have about 30+ jumpers so why would I need any more? Well, because I love them and if I see something different that I like, having over thirty jumpers somehow doesn't stop me from wanting more. 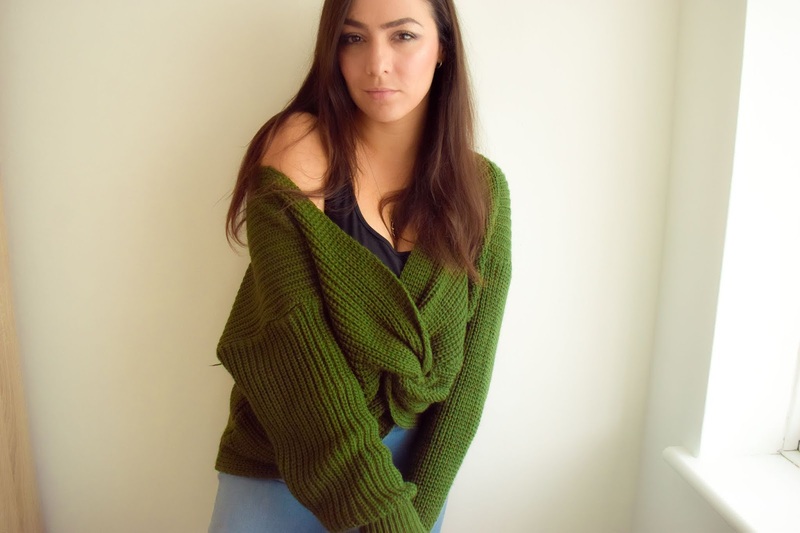 About a week and a half ago, I picked up a little Femme Luxe knitwear haul. 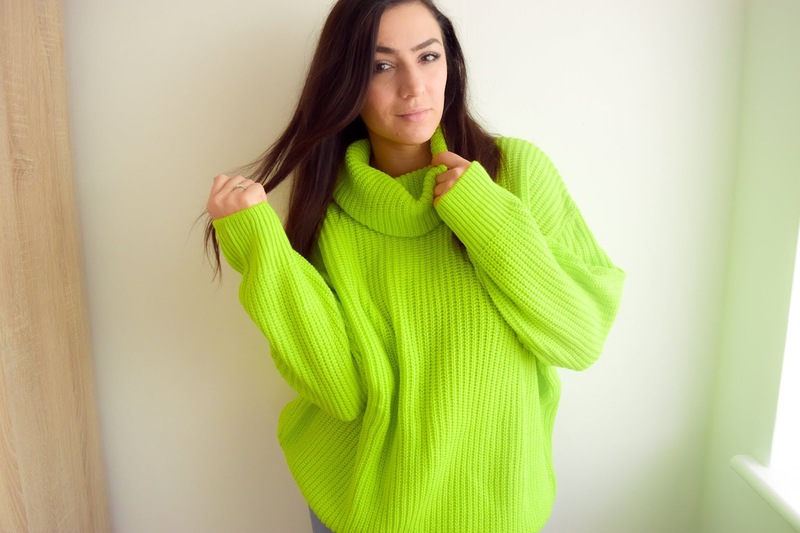 I have four new gorgeous jumpers to share with you and I'm super excited about styling them to brighten up the coming cold, winter days. 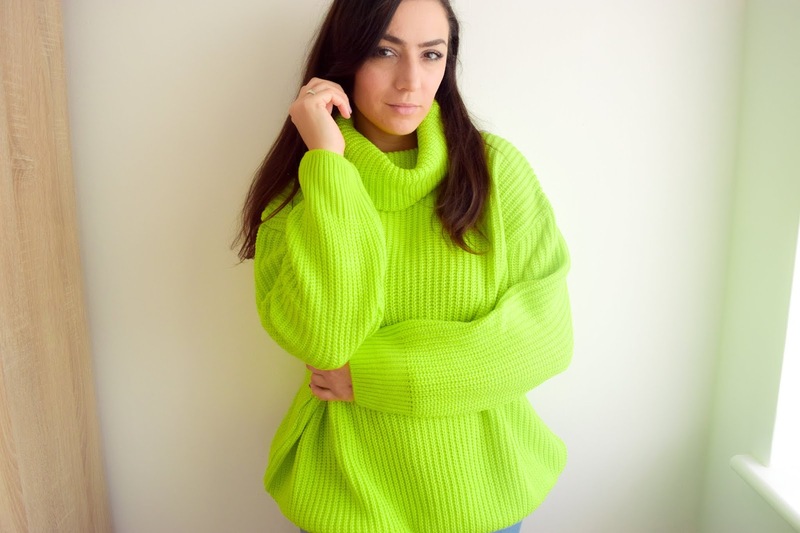 My first and most absolute favourite of the four is this neon jumper. I was so inspired by the way the model wore it in the picture that I just had to get it. I love the colour completely and the style reminds me of the sort of thing my mum wore in the 80s and 90s! I wore it with jeans the other day and then wore it again with wet-look leggings. It's a versatile piece and just right for cosy but stylish days out. Next, I have this wrap front khaki jumper. After my khaki one was victim to a bad wash (oops), I was missing a khaki knitted number and thought I'd try something out of the box for me. I don't normally go for pieces like this but I imagined wearing it with vests underneath for a look I felt a little more comfortable with myself. I think it looks just as good. It's yet another cosy piece but better for those warmer winter days since it's less covering than the neon jumper. I've never had a blacked cropped jumper before and it's one I've been looking for to wear with high waist skirts, jeans and over dresses. I'm currently wondering how it would look with my leopard print dress I'm still yet to feature here. It was shorter than I expected but it's not too short if you know what I mean. I think if I was a little more confident, I'd wear this with high waist jeans and a crop top underneath instead of a full length tank top. I haven't worn this out properly yet, but I'm looking forward to styling it up. Last but not least I have this gorgeous pink jumper I've loved wearing for an effortless 'lazy weekend' look. I'm not always a fan of the 'off the shoulder' look, especially with jumpers, so I was wary that I might not like this. But I was pleasantly surprised that this didn't act the way off-the-shoulder pieces usually do with me which is bunch up at the waist and spring back over my shoulders. I feel like I could easily wear this with a fun midi skirt next for a layered look. When I'm trying new brands I always keep an open mind and try to not expect too much of what I'm getting, even if I am collaborating with a brand. I'd prefer to be pleasantly surprised than disappointed. But this time, I am impressed by the quality of these jumpers. 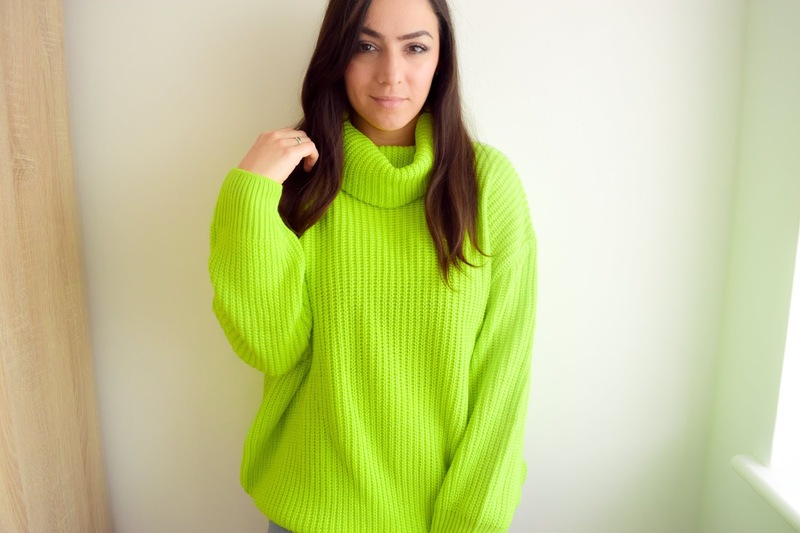 I'd say that the neon green and black jumper are of the best quality and the comfiest. The knitwear is thick, it's comfortable and feels good quality. It's important that jumpers don't itch too so I was pleased to see that none of these have that effect. Thinking about quality, I'd prefer if the pink cropped jumper had a little more stretch to it around the neckline for more wiggle room. It was comfortable but sometimes there's something that could make it close to perfect. 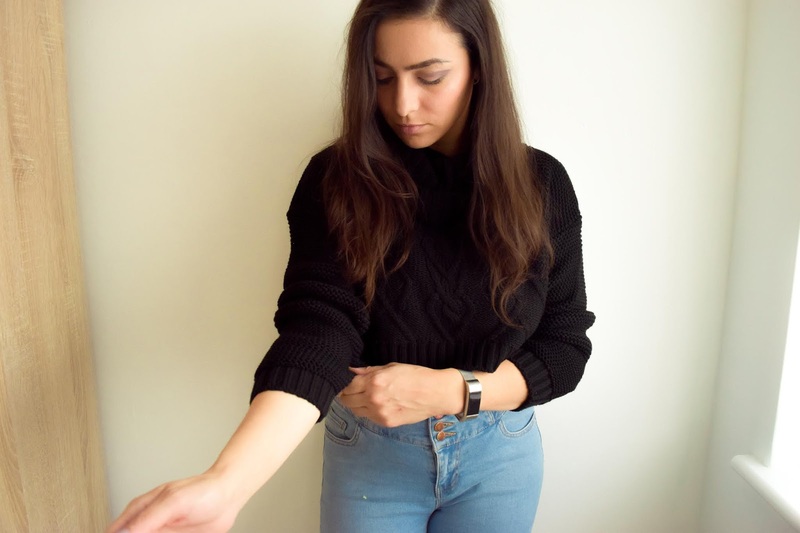 Overall, I'm really happy with my new knitwear and having now experienced Femme Luxe first hand, especially after hearing so much about it on Instagram, I'd recommend taking a look at their knitwear range. I'm yet to explore what else they have on their website but I'm thinking about picking up some of their lounge wear next. I spend an awful lot of time at home, so getting some lounge wear would be lovely. I also feel like I'd like to explore some of their co-ord and bottom ranges just because I've spotted some things I really like! Have you ever shopped Femme Luxe before? And which is your favourite jumper of the four?